On Mandela Day IronTree pledged R6767 to Little Libraries, an independent initiative that’s been delivering books and educational material to under-resourced pre-schools mainly in the Cape Town surrounds for the past five years.“It all started as one act of kindness to help one school, but when we saw the joy we were bringing to the children, we carried on,” says Camille Quine. 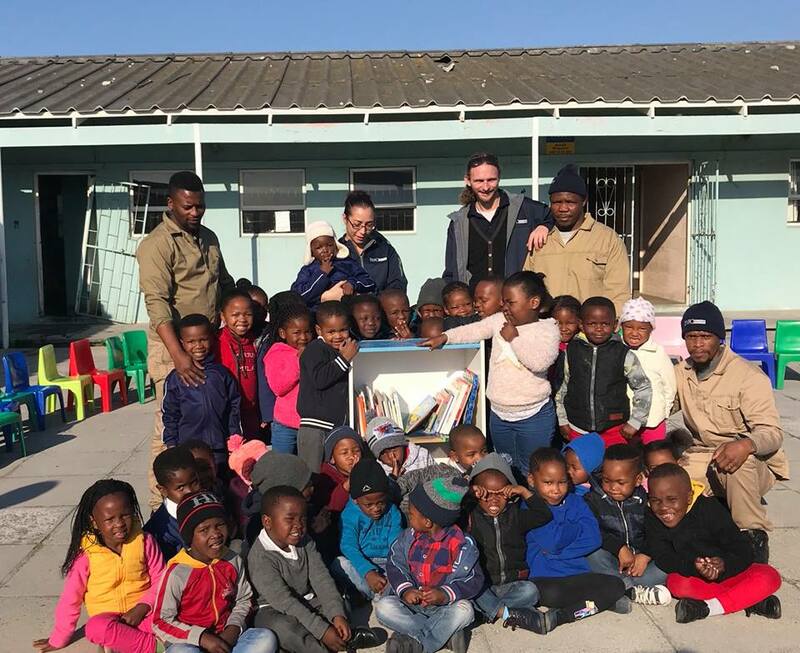 Since 2013 Little Libraries has distributed more than 30,000 books to more than 250 schools, giving about 8,500 children access to books.Although the main focus has been on books, Little Libraries now also distributes educational materials. Camille explains, “Many schools have virtually no resources to speak of and some children arrive at primary school without knowing how to hold a pen. We felt we needed to help them with this too by providing material to develop the children’s fine motor skills while they play.”The success of Little Libraries has enabled the initiative to register as a non-profit organisation 2017/431026/08 with PBO registration number 930061297.It would make more libraries possible if you also donated towards Little Libraries. These are the banking details to use:First National Bank, branch 250655, account number 62729305707, account holder: Little Libraries NPCFor additional information, follow their Facebook page: https://www.facebook.com/Littlelibraries/IronTree is proud to be involved with this inspired initiative that’s bringing the gift of reading into children’s lives.